Sunday Sevens is a weekly blog series created by Natalie at Threads and Bobbins blog. It features seven photos from the last seven days. 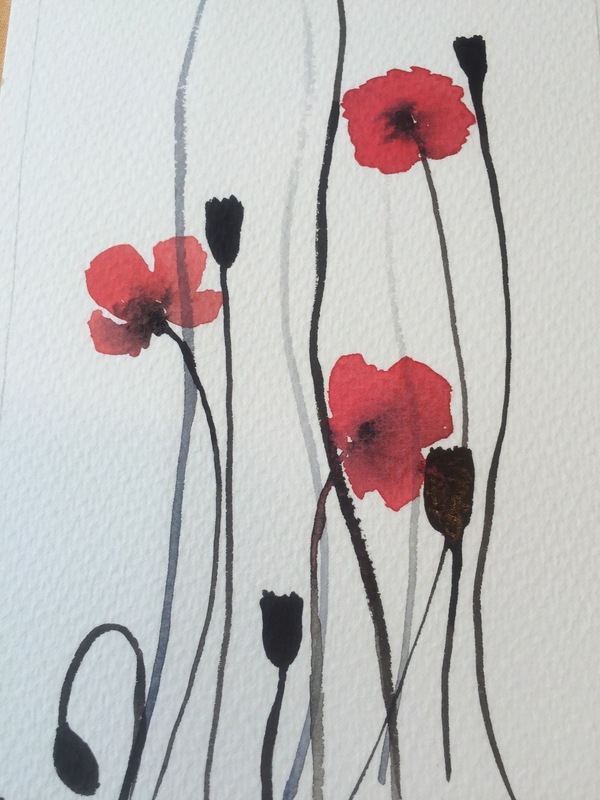 This week at watercolour class, we worked on poppies again. This time we were were inspired by a beautiful photograph of poppies which my teacher has. Unfortunately she doesn’t know who took the photo so I can’t credit him/her but I’m rather pleased with the result. Ta-dah! 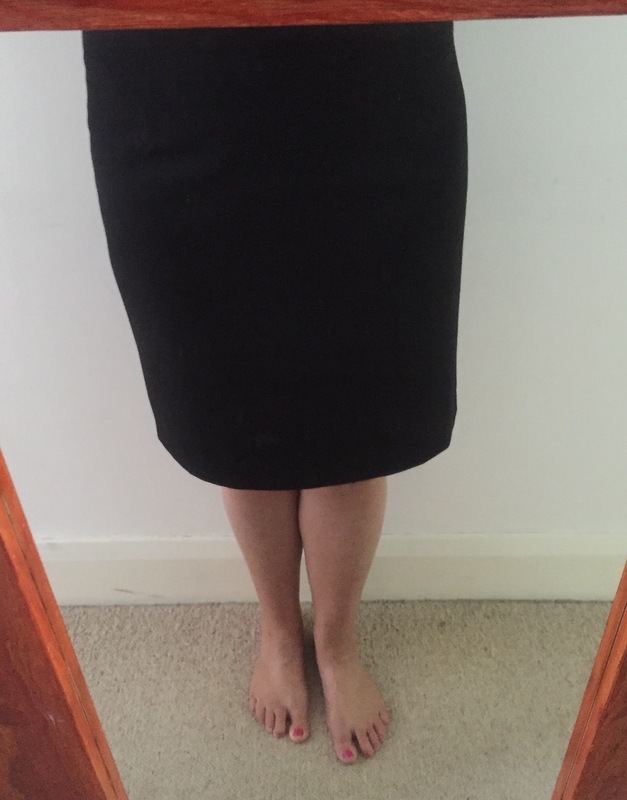 I have completed my first ever wearable skirt! I’m rather chuffed with it. It’s ready just in time for Christmas party season and will go nicely with a sparkly top I think. Next project: a gathered skirt. On a different afternoon this week I ended up at Camp Bay (also known locally as El Quarry, as once upon a time it was one), on the South-western side of Gibraltar. 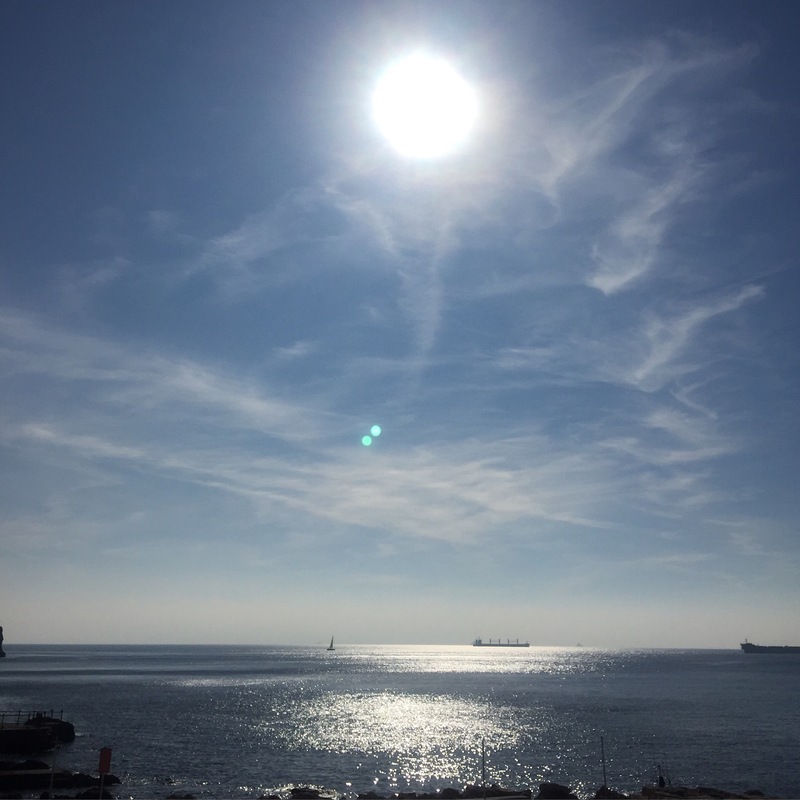 It was a really glorious day, the sun was bouncing off the sea and was really quite dazzling. On days like this it feels like an English summer’s day when you are in the sun, but if you head into the shade it’s starting to get a little bit chilly. I know that for those of you experiencing frost and snow at the moment, my concept of ‘chilly’ differs from yours, so please excuse me :-). 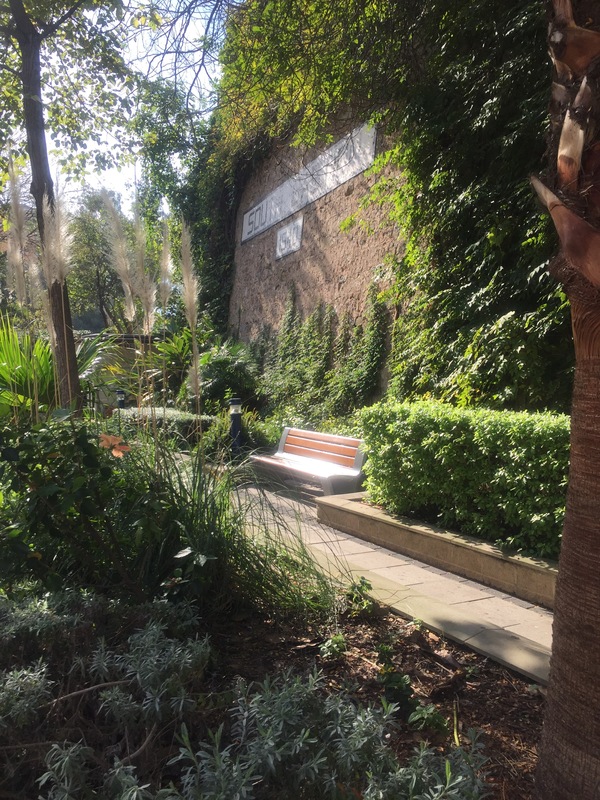 This little green oasis is one of my favourite spots here in Gibraltar. It’s called South Bastion and is a regular stop off on the tourist trail as visitors stop to take photos of the statue of Nelson which is close by and it’s directly opposite the Trafalgar Cemetery. I love it here as it’s always lush and green and I’m a greenery loving kinda gal. Sadly, it’s not quite as tranquil as perhaps the photo suggests as it’s right next to a busy road junction, but it’s still lovely. It’s officially started, I have begun my Christmas makes. 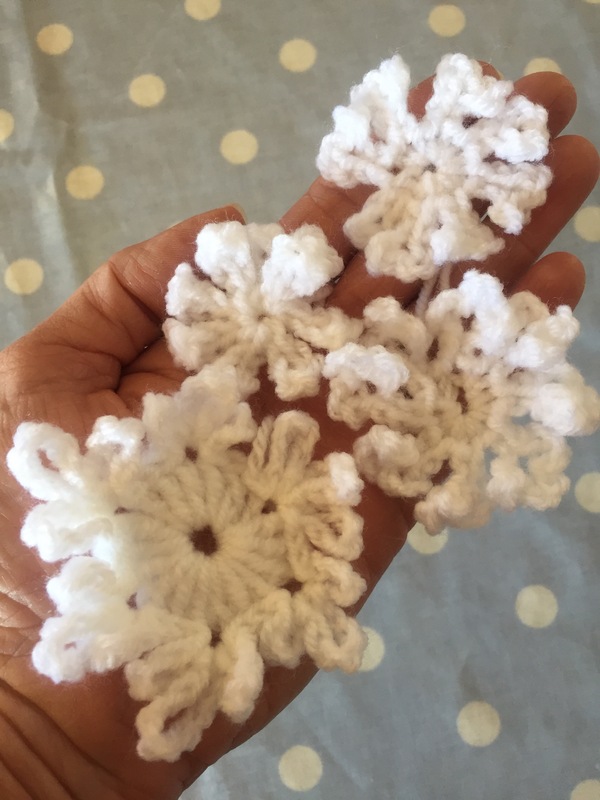 Here are a few snowflakes I’ve had a go at, hopefully they will be a little less curly when I’ve had a chance to block them. Just over a month to go! Please indulge me just one more photo of the amazing light show we witnessed at the Gibraltar Festival of Light Christmas light switch-on ceremony on Friday evening. 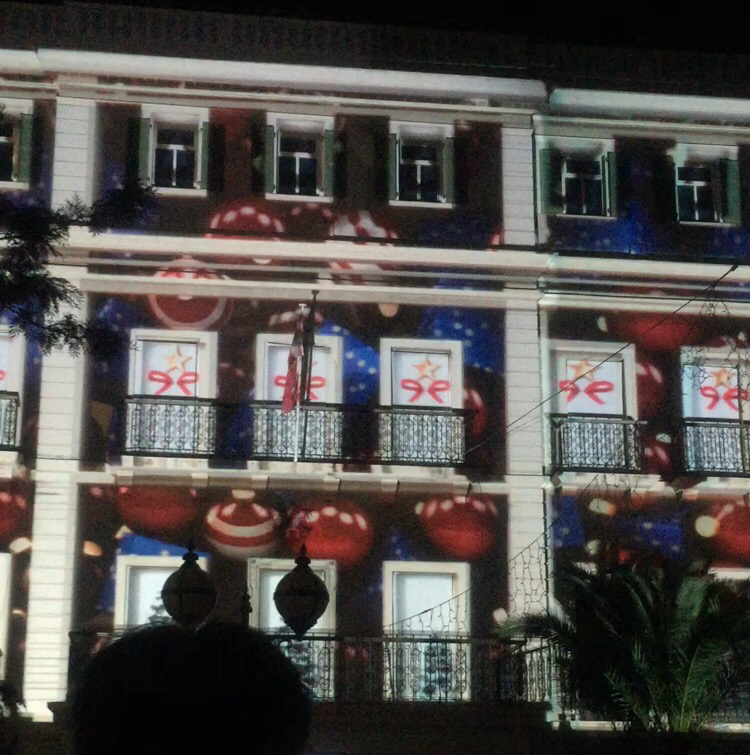 It was a really lovely event and featured, along with performances by local children of singing and dancing, a great light show beamed onto the City Hall. If you missed my last post about the evening, you can find it here. That’s all from me for this week, I hope you are having a great weekend. Thank you for stopping by. I love your poppies and the skirt looks amazing. I really enjoyed the pictures of Gibraltar, so pretty. Personally, I’d say it’s never too early to start Christmas makes and I never get bored of seeing Christmas lights. Blocking will make all the difference to the snowflakes. Well done on your first skirt, you must be thrilled! Well done on getting the skirt made! 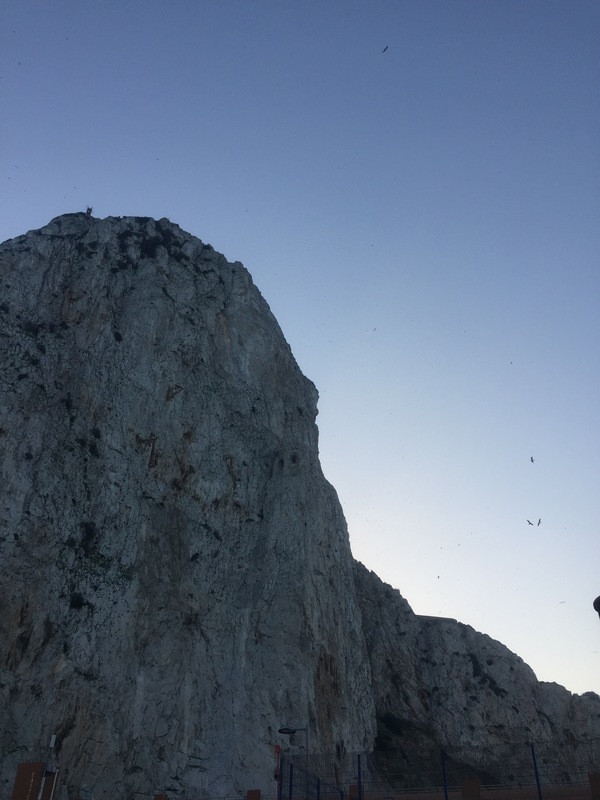 It looks like it’s a great fit 🙂 Thank you for including the rock – i’ve just reminisced about a short trip to Gibraltar when I was younger. Very impressed with your poppies too!